When i was using windows 8 my laptop's touchpad were doing these things when i swipe from left to inside of the touchpad. Like changing the window or left to inside was like open's the notification section. I want to use Gear VR and Oculus Go's controller's touchpad like this but i want more gesture like, swipe left edge to the right edge and detect it. Left edge to centre of touchpad. Up edge to centre of touchpad. Down edge to centre of touchpad. Right edge to centre of touchpad. Left edge to right edge. Up edge to down edge. Right edge to left edge. Down edge to up edge. Centre of the touchpd to the right edge. Centre of the touchpd to the left edge. Centre of the touchpd to the up edge. Centre of the touchpd to the down edge. I need to detect each of the movements or swipes. 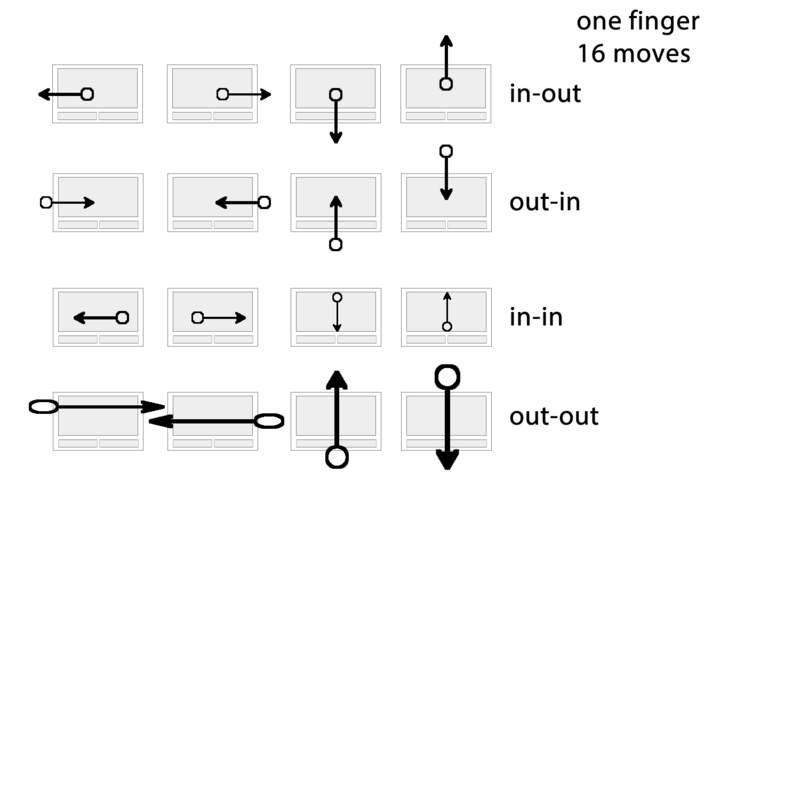 I want to tetect these movements from the oculus go controller and gear vr controller.